Hoping to get them both on the blog in the near future. Thanks to everyone who participated. Sign up for ACL, The StaticNAT Newsletter for future offers and to see what we are doing here at StaticNAT! So lets start off with I am an old dog and I am learning new tricks. My entire career I have avoided the dreaded programing. In college I slid by my degree requirement for a coding class by taking Visual Basic for Industrial applications. I hated it. Debugging drove me nuts and there is still a hole in my bedroom wall at my parents where that brick of a VB found itself one night around 2am. From there I was just gun shy and honestly had plenty of other things going on that could afford to ignore learning anything outside of the basics of HTML and CSS. Cut to today, I am in my late 30’s and going through a career transition of sorts. My timing for the transition is decent because the network industry is also going through a bit of a transition. For awhile now all the cool kids have been doing automation and Dev/Ops in the Server, OS and application space. But networks are trickier. I will leave out all the discussion of why because that horse has been beat dead a few times online. In this transition over the past six months or so I have found myself doing things I would never have guessed even a year ago. So what types of things you ask. Ok for one I am now doing dev work. Mind you it is not great dev work and I will never be a professional developer but I have been writing code. In one case even some minor code for a library that is now in production with clients…scary huh. 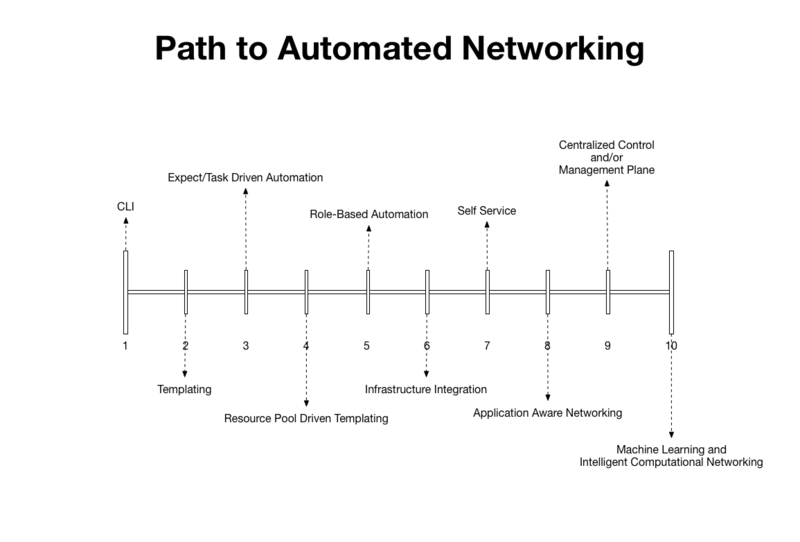 But mostly I am coding to learn and help move other people along the Path to Automated Networking including myself.